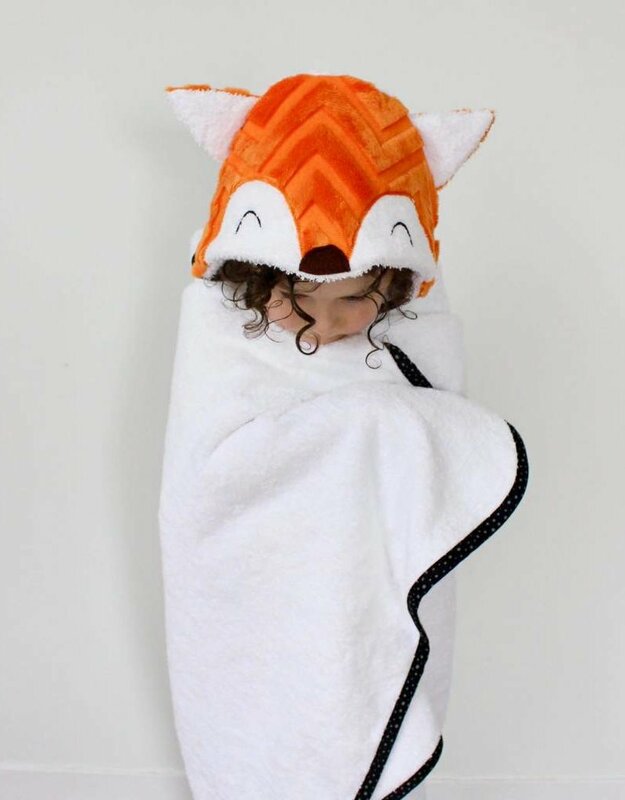 Here's a cute and cute bath towel or the toddlers! 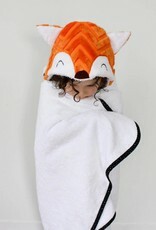 It will make you smile for sure when baby wears the pretty fox head to cover and dry her hair when leaving the bath. Great idea for a birth gift and accessory for an adorable photo shoot with baby. 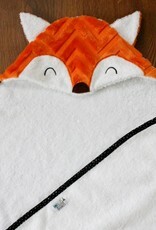 The napkin is thick terry; 100% cotton, the top of the head of the fox (orange) is in "Minky" ultra soft like a soft toy; 100% polyester. The bias around is 100% cotton. 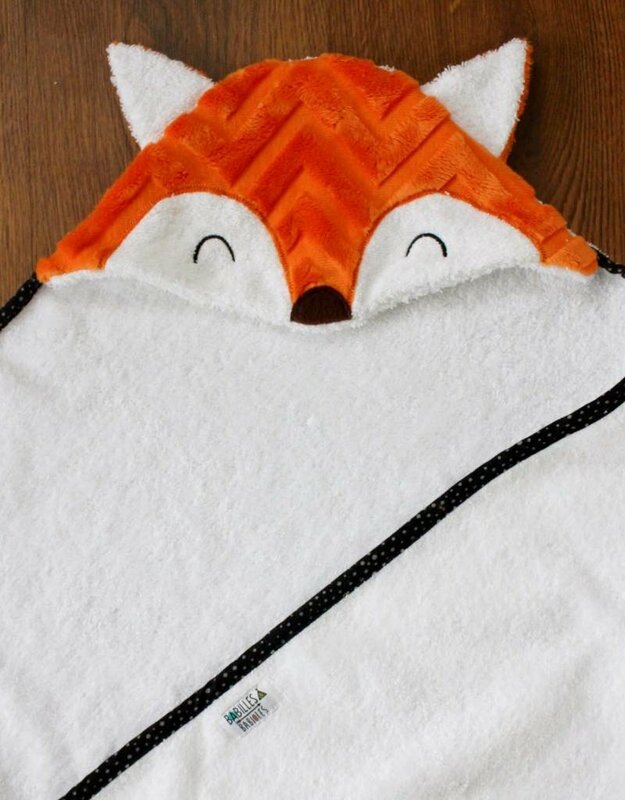 The nose is in polar; 100% polyester. The eyes are machine embroidered. Dimensions: Square 29 "X 29"
Made in Quebec by Babilles et babioles.